One of the most popular and sought-after gadgets, not only Apple, but the whole world became the iPhone 5, as well as its more advanced version 5s. These devices are very similar to each other, but at the same time, have a number of very significant differences. The main advantages of such gadgets is that they have an optimal diagonal, a fundamentally new type of operating system, as well as a user-friendly interface. 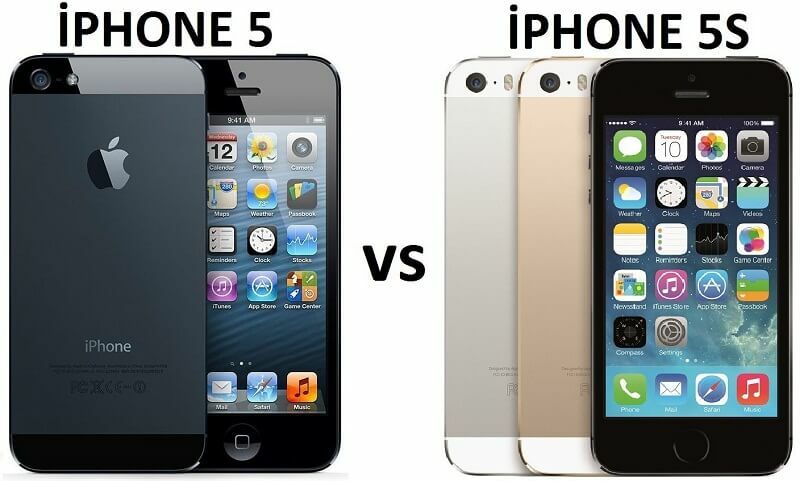 Despite this, most of the owners of such phones, for a long time doubted which one to buy, and wondered "What is the difference between the 5 iPhone and 5s?" 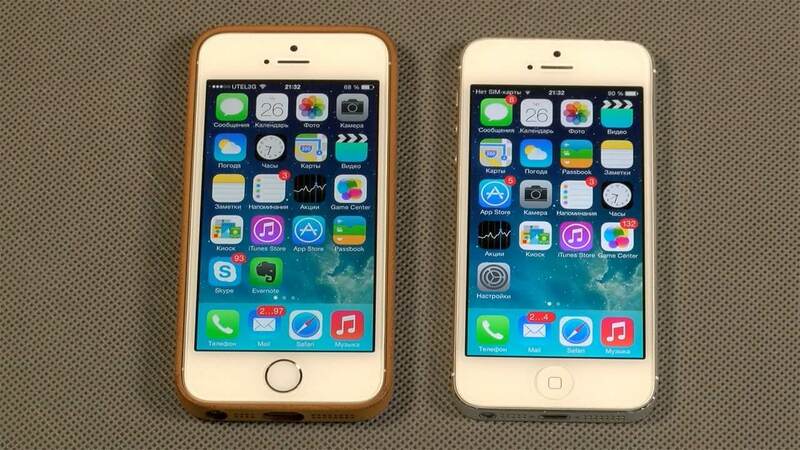 So, what are the main differences between these versions of the iPhone? First, the appearance of the devices will be considered, and then the technical characteristics. These two communication devices can boast absolutely the same characteristics of height, weight, thickness, and width. The thickness of the devices is 7,6 mm. 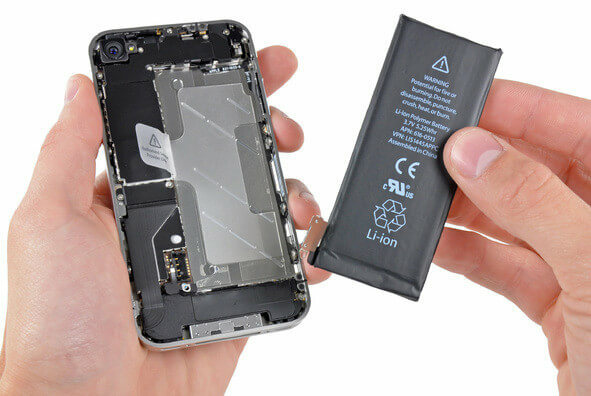 You should pay attention to the fact that under the cover of the improved version there is a more powerful battery, as well as iron. 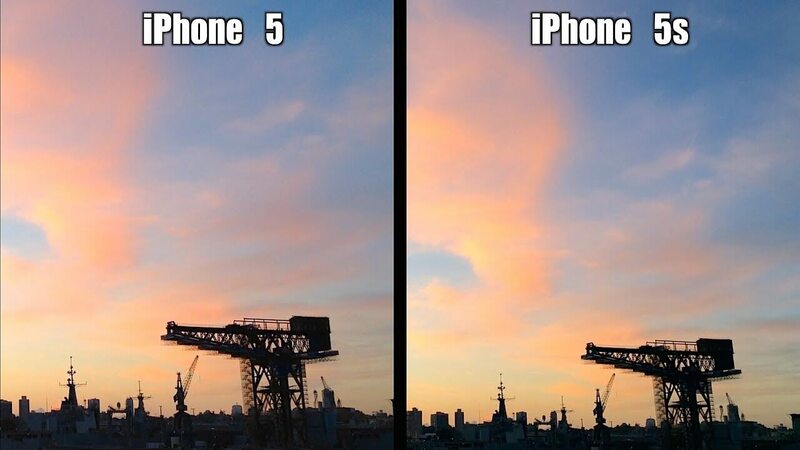 The same applies to the camera, although they have the same number of pixels. A huge advantage of these gadgets are the same size, so using them is incredibly convenient and comfortable. As for the first item, the original iPhone 5s is equipped with a scanner that reads a fingerprint (this technology is called Touch ID). In the ordinary “five”, the button is completely ordinary, concave and has a white or black square, respectively, the colors of the phone itself. On the second point, you can say that the original of the fifth iPhone is available to customers in only two colors: black or white, while its follower can be purchased in white, gold (champagne) or dark gray. Apple has presented its customers with a gold case in order to slightly embellish the dull and dull color of previous models. In addition, the developers have replaced the black color to dark gray. Difficult to distinguish them, but when comparing the difference is visible quite well. The back cover of these devices is also slightly different. The main difference is the flash - the older version has a 2 LED, while its predecessor can boast only one. At this point, the external differences of the fifth iPhones are exhausted. It is absolutely useless to compare the displays of the devices, since the resolution, diagonal, and the density of points in these models are absolutely the same. 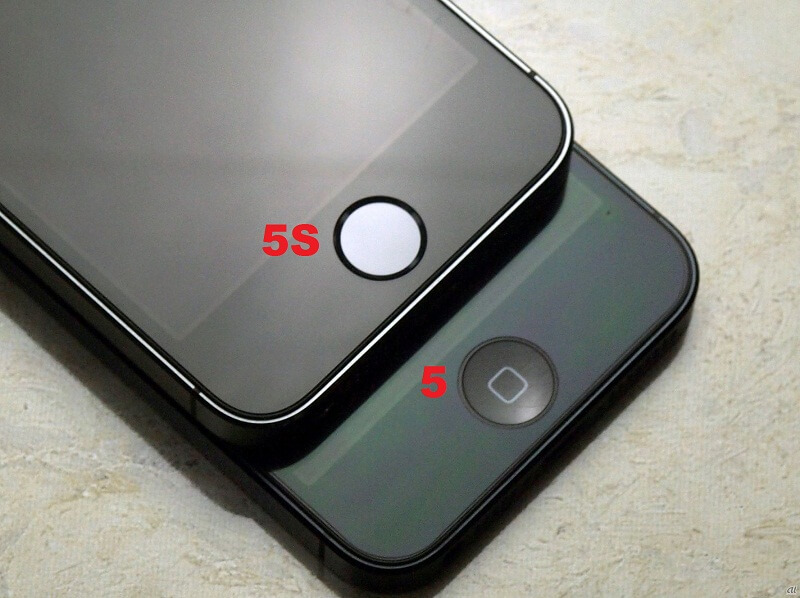 Of particular note is the fact that in the original 5s installed 64-bit A7 chip, which boasts two cores on 1,3 GHz. Despite the fact that in the previous generation of devices almost the same A6 chip with identical frequency is used, the gadget can perform only 32-bit calculations. The enhanced version has a separate M7 coprocessor. This “helper” reads data from the accelerometer, gyroscope, and also a compass. Simply put, it simplifies the work of the main chip, preventing it from hanging up during loads. Also, in the original 5s model, the developers increased the battery by increasing its capacity to 1500 mAh. Full charge of the phone is designed for several days of operation. In addition, this indicator is well reflected in the duration of conversations. The total time of calls, believing in theoretical statements, increased to 10 hours, while at the fifth iPhone it was 8. If we take GSM, and not 3G networks, then this indicator will be much more impressive. In the first and second cases, the module is installed on the 8 MP, which has automatic focusing. The front lens also did not change, leaving the same, as before, 1,2 Mp. The developers report that they have completely reworked the main 5s module. Pixel size has been reduced to 1,5 μm. As a result, the photographs became a little clearer, but only in daylight. Two LEDs on the original 5s, instead of one on the usual five, made it possible to make the colors of photos more natural, alive and close to the original. This is all due to the fact that one LED gives a cold light, and the other - a warm one. Also in 2, the pointing period for the object was increased, stabilization of photo and video modes was improved, and the overall dynamics lent itself to improvement. In general, the camera of the improved version of this smartphone has become much more alive and responsive. 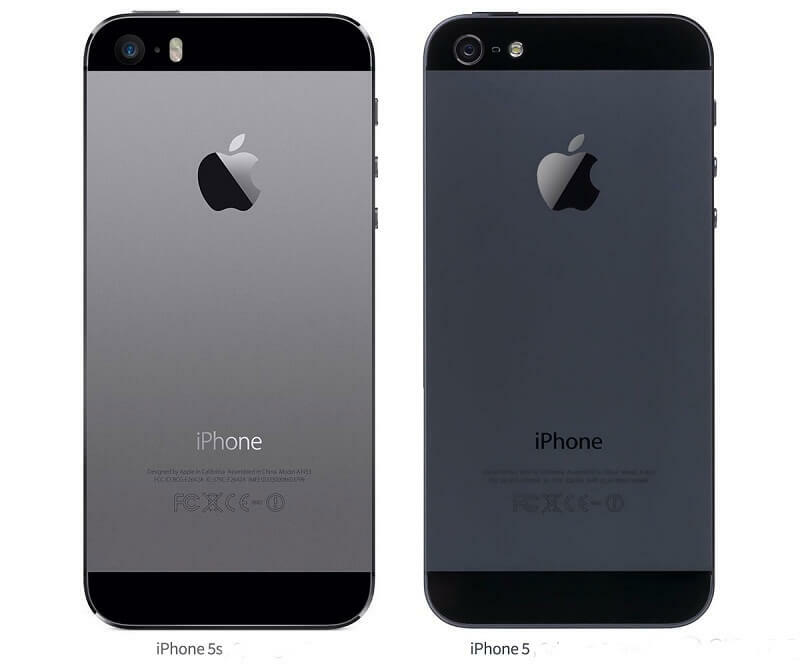 The original model of the fifth iPhone was provided to the buyer in three versions, namely 16, 32, and 64 GB on board. In this regard, nothing has changed, although there were some rumors about 128 GB, but they did not lead to anything. No expansion slots are still provided. If the memory is not enough, it can be expanded using cloud storage or iTunes. There is no point in talking for a long time about the operating system, since absolutely all the ergonomics, settings, and other elements are exactly the same in two variations of the device. It is better to pay attention to a biometric scanner that allows you to scan fingerprints. In the original five, unlike 5s, it is not, although the scope of this service is incredibly wide. Configure the function in question is very simple. In the parameters, you must select a password for access, after which the system will automatically put forward a proposal to replace it with a fingerprint. For correct processing of a print, the system needs to be “trained” to it. You need to put a finger on the sensor a couple of times, and then wait for the signal that the scan was successful. Touch ID helps to improve the security of your smartphone and save time when unlocking, but it has one drawback. The finger must be completely dry and clean, otherwise the system will simply not accept it and will refuse access. Therefore, it is better to remember the password. In appearance, the two variations of the device are very similar to each other. But if you take the technical characteristics, then the original iPhone 5s is actually quite stronger than its predecessor.